We are in another crazy week! Benchmark testing, picture day, Leadership party! When will we have a normal week? 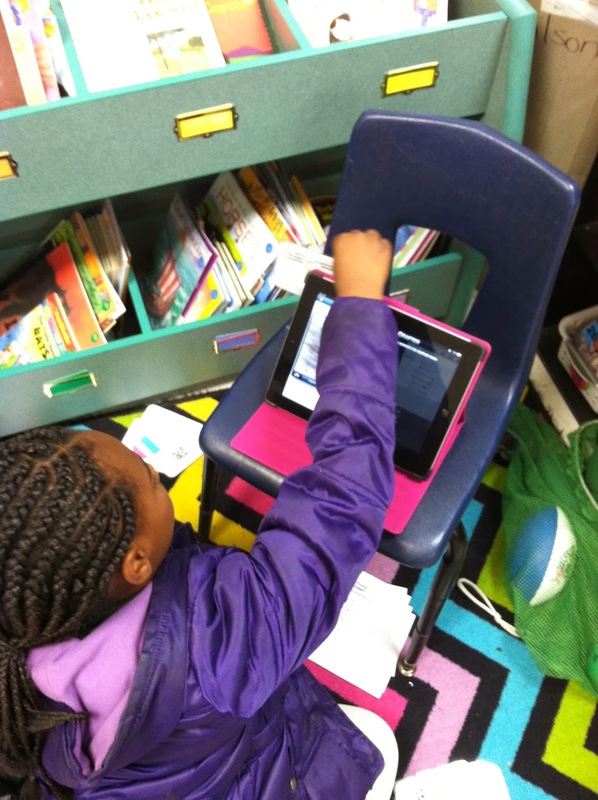 We are moving to 1:1 iPads next year! We were supposed to get 6 iPads in January, but with the cold weather days, everything is behind. 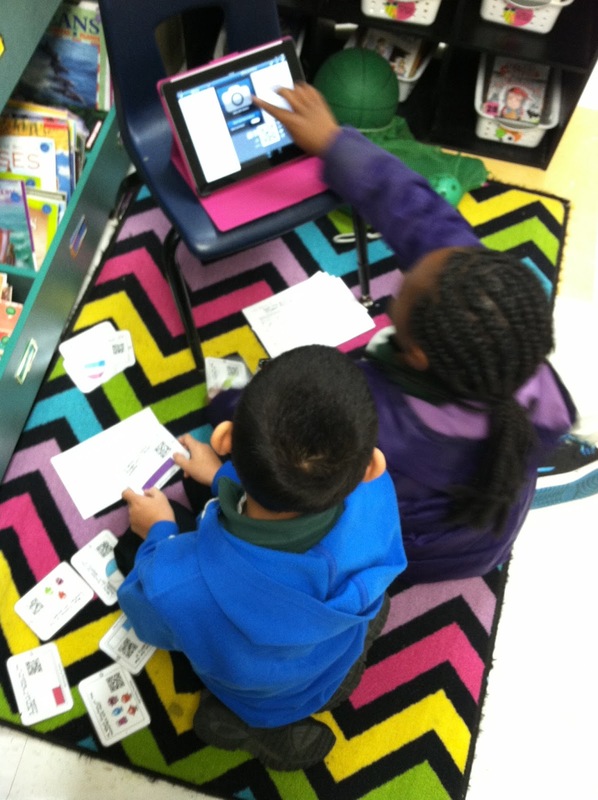 I decided to go ahead and introduce QR Codes to my kiddos using my iPad. If you haven't, you might be living under a rock! I kid! You scan the cute little square with any smart device and it gives you a text or website. There's tons of free apps to scan the codes. I found this great product on TpT from Kristin Kennedy. It was perfect as a center as we were wrapping up our unit on fractions! I basically showed my whole class how to use the QR app (I think it's called QRafter) and sent them on their way. Here are two of my sweeties working on identifying fractions. They absolutely LOVED it and are begging for more!! There's a ton of free QR code activities on TpT! Go check them out! Congrats on the weight loss! I am loving QR codes too. How lucky you are to be moving to a 1:1 classroom. Very jealous! You go, Girl! That is a crazy amount of weight lost! Congrats! Whoop Whoop Rachel! 6.8 pounds is awesome! I love the QR codes too, I wish we had more time with iPads at our school! The students LOVE them! Each grade level gets them for one week every 6 weeks, which means each teacher gets one day out of every 6 weeks. Boo! So happy for you for next year! How fun that you are moving to a 1:1 classroom next year!! The teacher next door and I share a set of 10 iPads - the kids LOVE using them in stations! 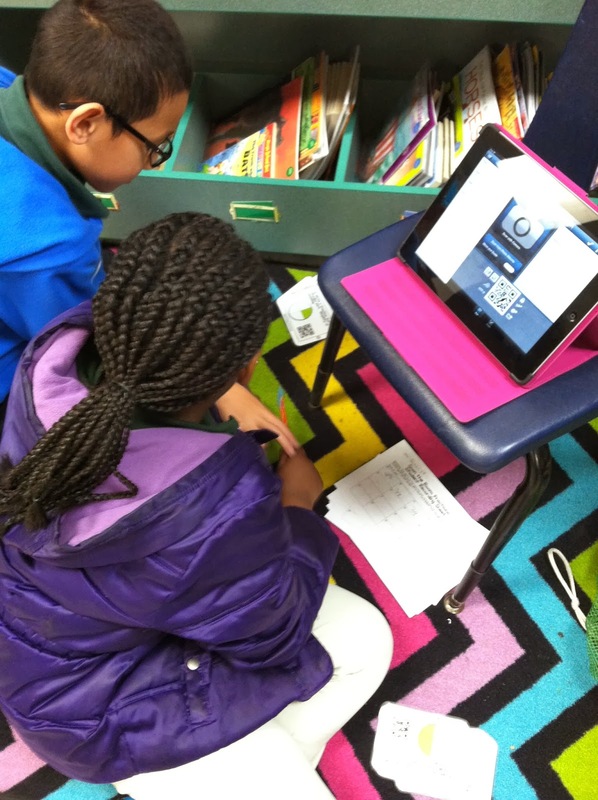 Thanks for sharing the fun fraction QR resource - we're starting fractions next week, so I'm headed over to check it out! CONGRATS on the weight loss!! That is awesome!! 6.8?! Go, girl! I need that chevron rug. NEED.